We are delighted that Red House School has been revealed as the top school in the whole of the North, and fifth in our category in the UK, in the 2019 Sunday Times ‘Parent Power’ list. Judged on 2,000 schools in the UK, Parent Power is widely acknowledged as the most authoritative survey of the country’s best schools. It assesses academic results as well as the performance of a given school compared to others in the same town, local authority and nationally. We are proud that our school is built upon an ethos of encouraging children to develop their interests and talents, and fully participating in the life of our busy school, offering a very personal and unique family atmosphere. Being a small school, teaching staff know all of our pupils individually and work with them to achieve their best – something evidenced by our incredible GCSE results in 2018. We are continuing to investing heavily throughout the school. Our new facilities include a Zen Den (to encourage the importance of mindfulness), an enchanted outdoor classroom and a new IT suite in the Junior School. The Senior School has benefited from a new Learning Hub, extension of design facilities, indoor sports flooring and an all-weather Astroturf pitch. 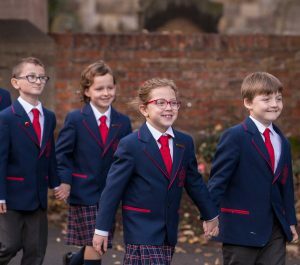 To find out more about Red House School please contact Claire Bellerby, Head of Admissions, on 01642 558119 or email claire.bellerby@redhouseschool.co.uk. You can also arrange a tour or request a call back. We are also holding Twilight Tours at the Junior and Senior School as well as a Nursery Stay & Play event on Thursday 9 May. These events are a great way for prospective families to experience life at Red House.